California and New York will lead 16 states, including the District of Columbia, into a lawsuit to preserve subsidies to health insurance companies on the Obamacare exchanges, after a ruling by the U.S. Court of Appeals for the District of Columbia Circuit Tuesday. The D.C. Circuit will allow the states to intervene in the ongoing appeal in the House v. Price, et al. case, in which Congress successfully challenged the constitutionality of the Obama administration’s subsidies. President Barack Obama began paying the subsidies even though Congress had not specifically authorized them, which the lower court ruled was a violation of the Constitution’s limitations on appropriations in Article I, Section 9, Clause 7. President Trump could have dropped the appeal and let the subsidies collapse, but continued the payments to allow Congress time to craft a law to repeal and replace Obamacare. The 90-day extension that the court granted is due to expire on August 21, and Trump is also threatening to drop the case. The Associated Press notes that California, New York and other states intervened in the case for fear that neither side would actually defend the subsidies. The House and the Trump administration opposed the intervention, but lost before a panel of three judges. 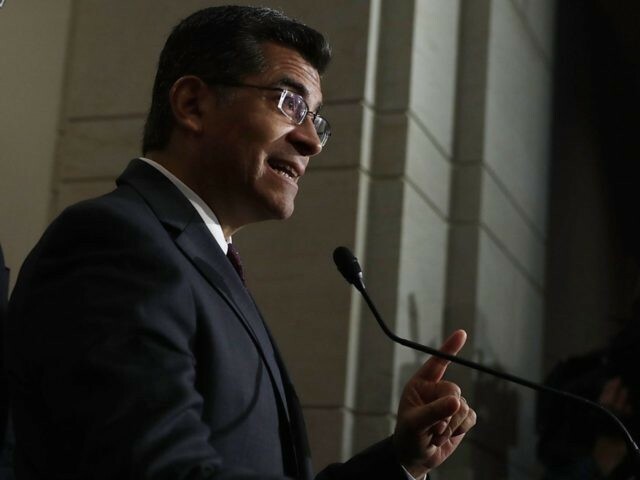 California’s efforts are the latest in Attorney General Xavier Becerra’s legal campaign to “resist” the administration. All of the other states joining in the motion to intervene, except Iowa and Kentucky, are governed by Democrats. Meanwhile, a bipartisan group of legislators calling themselves the “Problem Solvers” is working on a set of proposals to patch the failing Obamacare system. Their “fixes” include maintaining the insurance subsidies, raising the minimum number of employees for a firm to be forced to provide insurance from 50 to 500; and canceling the medical device tax. None of these proposals will solve Obamacare’s long-term problems, but will keep the policy alive for a little while longer while — theoretically, at least — holding back massive insurance premium increases. California, the “model state” for Obamacare, is already facing a 12.5% increase in premiums next year, while many residents will lose their current insurance after Anthem Blue Cross quits the state’s “Covered California” program. President Trump is insisting that Senate Republicans try to repeal and replace Obamacare once again, hoping that the backlash against three defectors — Sens. Susan Collins (R-ME), Lisa Murkowski (R-AK), and John McCain (R-AZ) will convince at least one to change their vote. Murkowski and McCain ran on promises to repeal Obamacare. However, Sen. Lamar Alexander (R-TN), who chairs the Senate Health, Education, Labor and Pensions Committee, announced Tuesday that he will begin work in September towards bailing out the faltering Obamacare exchanges. And so odd alliance is building between Senate Republicans and California Democrats, among others, to bail out a system that was forced onto the American people in a partisan, and arguably unconstitutional, manner. It represents a continuation of the GOP’s capitulation to the minority party, which began before Trump was elected, and a victory for Democrats, who hooked Americans on health insurance subsidies — an addiction they can no longer break.